Oh my! I began this book late in the afternoon and didn’t put it down until I finished it. I opened it as I was cooking dinner and I only vaguely recall putting my children to bed. In Love’s Sweet Beginning. a prim and proper young woman, Cassie Haddon, is put to the task of providing for her mother. However, Cassie lacks the training and skill required to earn a living. A sympathetic (and handsome) store owner, Jacob West gives her a chance that costs him more than he expected. Ann Shorey adds enough conflict to keep it interesting and just enough kissing to keep it terribly romantic. I adore the way Cassie and Jack both grow to handle more than they knew they could while growing together at the same time. I so enjoyed this heartwarming story. This is the first title of Ann Shorey’s I have read. It will not be my last! She truly has a gift for bringing two very likeable characters together in a charming adventure. I recommend Love’s Sweet Beginning to those who enjoy historical fiction at it’s finest. I was given a copy of this book by the publisher in exchange for an honest review. I have not been compensated in any form other than the joy of reading a good book. All opinions are mine. On a visit to our local library last week, I stumbled upon this interesting title. It was displayed in the recommends section and immediately caught my attention. I happen to live in the Battlefield Region of Virginia, the closest one less than three miles from the library. I often walk with my family on the paths of the Battlefield to enjoy the peace and serenity they provide. While the Battle of Gettysburg occurred a state away, a good part of the Civil War was fought in my backyard. After reading this intense story, I will never view the war through the same lens. Jocelyn Green gives amazing detail in this story of heroism at it’s finest. 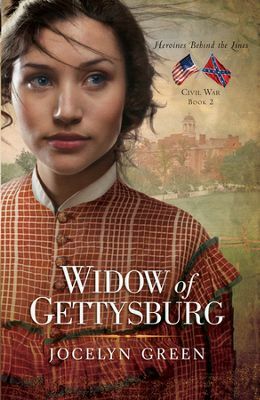 As the plot unfolds, Liberty Holloway, a young widow, finds her home and her life in shambles as the Civil War is literally brought to her front door. The descriptions of what Liberty sees as her home is turned into a Confederate hospital are graphic and specific. Fortunately, Green weaves in a love interest in Silas Ford for a little relief from the heaviness of the story. Their story comes together slowly and is in no way the main storyline. The real story lives in the contribution of the women of Gettysburg. It is truly intriguing and leaves me wanting to catch up on my history! I enjoyed the history, romance, and characters immensely. This book is a page turner and I look forward to reading more from Jocelyn Green in the future. I would recommend this book to any lover of historical fiction. Happy reading! 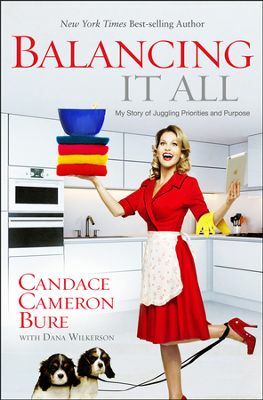 Balancing It All is Candace Bure’s biography with a little self help on the side. It is the kind of book you can enjoy without thinking too much. There are golden nuggets of wisdom along the way, but no mind blowing road map of conquering our day to day craziness. Candace Bure begins with her upbringing and her introduction to acting. She speaks to what it was like to juggle school, a job, and family at such a young age. As the book moves along, she discusses meeting her husband and how she traded one kind of busy for another. In many chapters I could totally relate to her, especially when she speaks to moving away from all she knew to support her husband’s career. I am currently reading Balancing It All with my book club. We have appreciated Candace Bure’s transparency and her willingness to share her personal struggles and faith. My favorite chapter in the book was the chapter on prayer. I felt like in these particular pages I was talking with Candace instead of reading about her. There are only so many ways to make a chocolate chip cookie. Most recipes are similar and don’t deviate from the basics. Flour, butter, egg, sugar, salt, vanilla, and chocolate chips. In fact, one of the best recipes is on the back of the Nestle Toll House bag of chocolate chips! It is right there for the taking, in plain view! 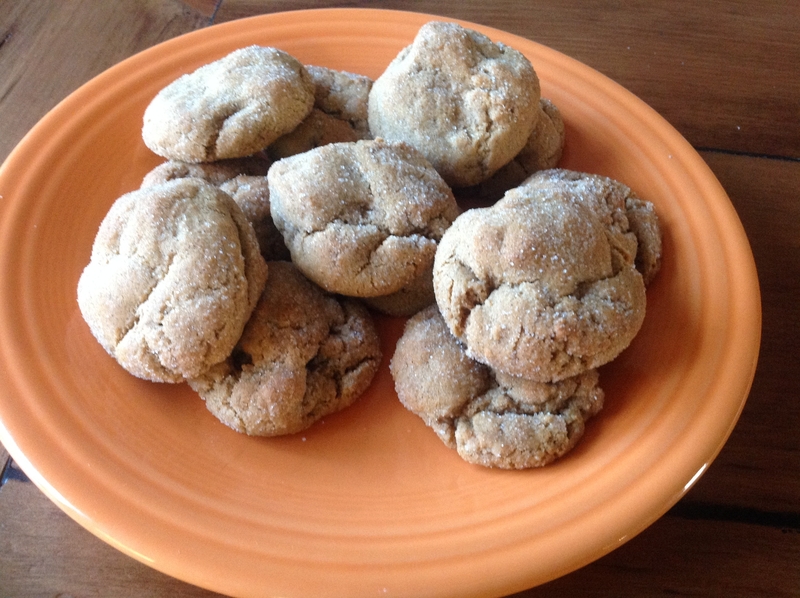 Amazingly, if you gave 100 people the recipe, you would get 100 different cookies. Crunchy, soft, burnt, salty, overly sweet, and flat just to name a few. Trust me when I say, I am no pastry chef. I am only a girl who has spent a good deal of time learning to make a good cookie. While I won’t give my exact recipe, I will give away some of my secrets! 1. 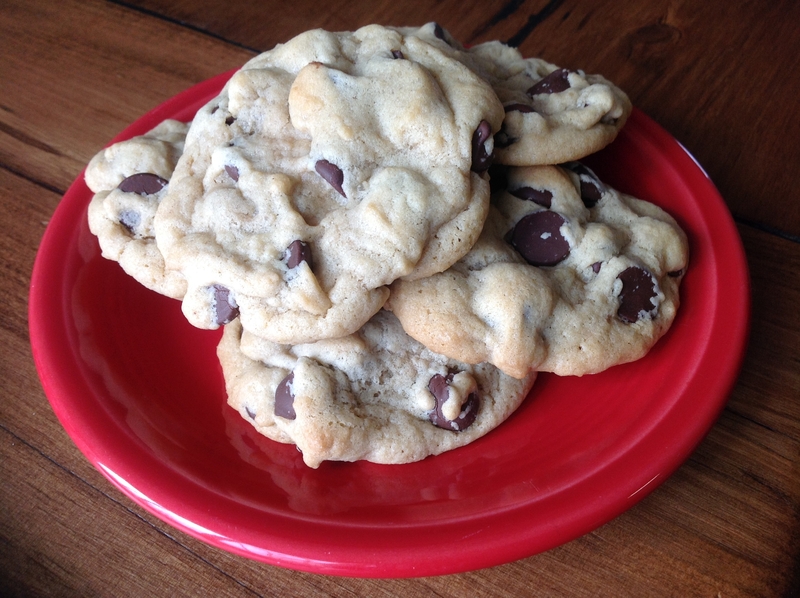 Start with a tried and true recipe, The Nestle Toll House Chocolate Chip Cookie. 2. BUTTER!!! The real thing and unsalted. Let the butter soften to room temperature. Don’t melt it in the microwave to soften it. Also, don’t store butter in the refrigerator next to things that stink! Have you ever bitten into a cookie that tasted funky? This might be the reason. 2. FLOUR! Buy unbleached. It just seems odd to eat anything bleached. Secondly, flour will absorb the flavors around it. If you have it stored next to your garlic powder, ect., it will taste like it. How old is your flour? It might be time to buy new especially if you can’t remember. 3. SUGAR! I love to use pure can sugar. I buy it at the grocery store and it is pretty cheap. 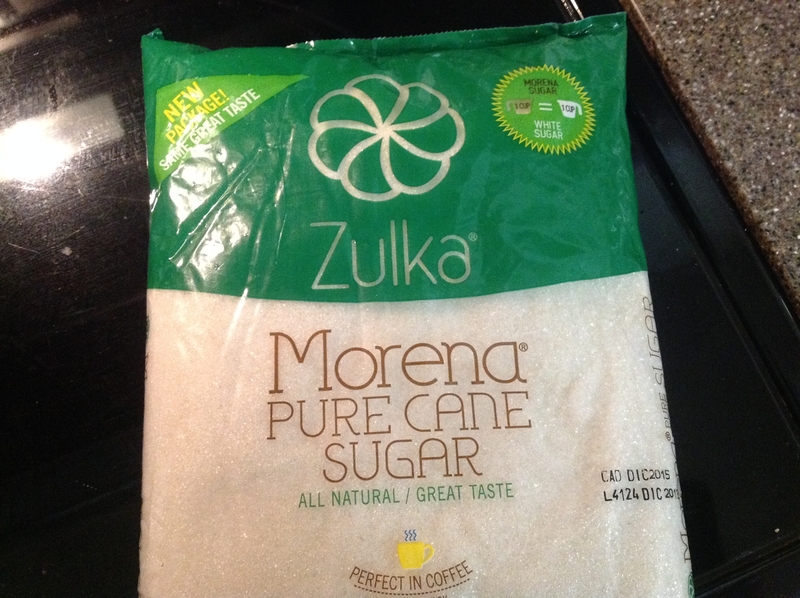 I use this in place of the “white sugar” in my recipes. It measures cup for cup. 4. VANILLA! Use the real stuff and don’t be shy about adding an extra 1/2 tsp. 5. THE CHIPS! This is personal preference. I prefer dark chocolate or semi sweet. Milk chocolate is too sweet. 6. Once you have your dough, put it in the fridge for at least an hour. Cold dough makes a better cookie. 7. Make all of your dough balls the same size. I use a measuring tablespoon. By keeping them the same, all of your cookies will be done at the same time. 8. How is your oven? Does it cook evenly? If not, consider turning your baking sheet during baking. 9. Lastly, be careful not to over bake your cookies. I know some people like them crunchy, so it is a matter of preference. The best cookies are moist and soft…well in my opinion at least. If I feel a batch is close to being done, but not quite, I turn the oven off and give them a few more minutes. I get the most compliments from my chocolate chip cookies. When I am asked for the recipe, I always smile and say in the voice of Phoebe Buffay from Friends, “Why they are Nesle Toulouse.” And really, I am being truthful! What are some of your baking secrets? I would love to hear them! For nine days we have been waiting for the snow to melt. We hope the warm sun turns the squishy mud back to dirt. In the meantime, I have boys to entertain. If you have never allowed your children to be artists on your squeaky clean window, you are missing out! 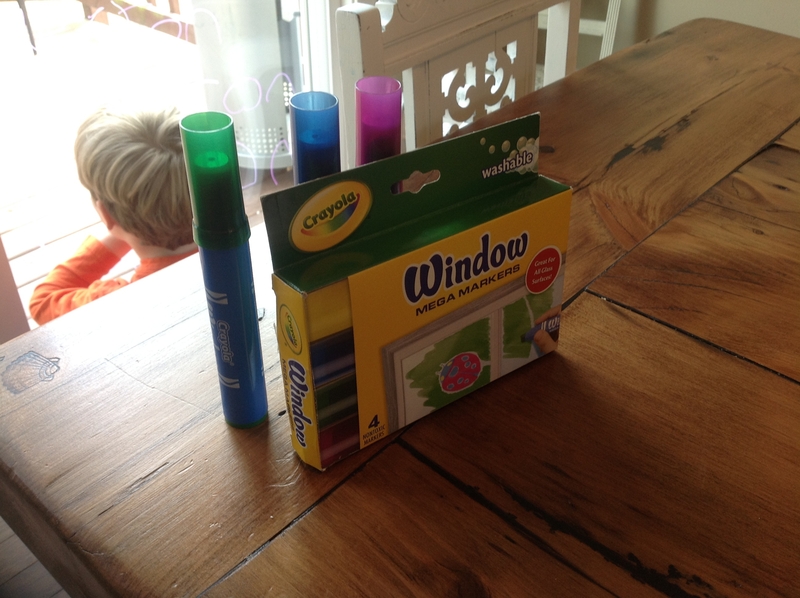 These window markers are from Crayola and are a great way to add some color to your Winter blue. They are typically in the neighborhood of $4 and worth every penny. This is my secret weapon to boredom, and Crayola didn’t pay me to say so! The test for most children’s books for me is the reaction of my kids. Do they even want me to read it? The illustration on the front cover easily drew my soon to be five-year-old in instantly. He loves dogs and carries a stuffed one around the house all day. 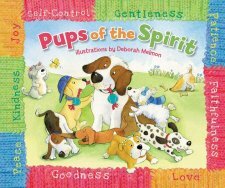 Beyond the illustrations, the book beautifully communicates the fruits of the Spirit. Really, this can be a complicated idea but the gentle rhyming and simple story line makes this book entertaining with a valuable lesson. I love how the book gives easy examples of how to live out each fruit. Max is a great friend to others, Pete doesn’t worry, Peanut knows things take time, and Moose enjoys helping others. I could easily see this book in a series, or better yet, a cartoon. The only downside to this cute “tail” is the request my son made for a real dog like the character Gigi! I believe the age range indicated on the back cover is appropriate (ages 4-8). I would recommend this book to any family with young boys or girls as a teaching tool. I am sure it will soon become a bedtime favorite. This book would also be a great supplement to curriculum used for children’s ministry. I was given this book by BookLook to review without any compensation in return for an honest review. All opinions are my own. Happy reading! 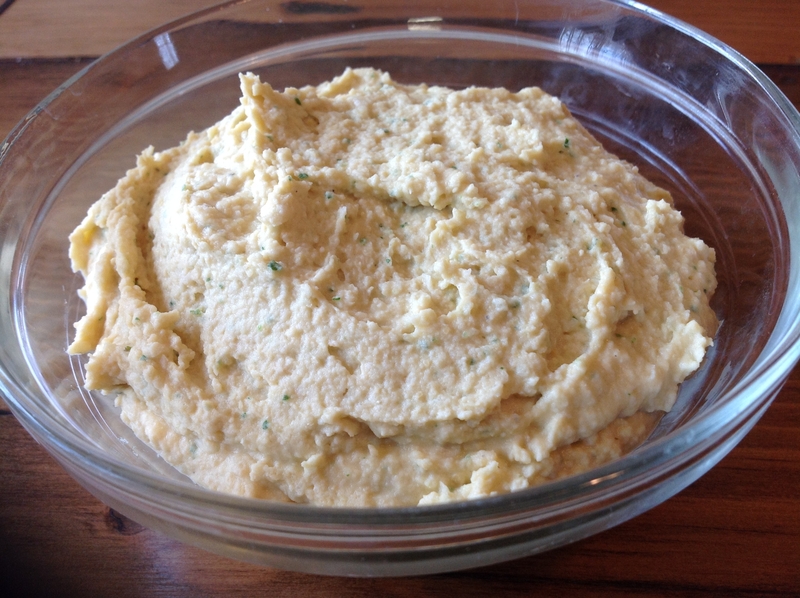 Hummus does not have to be difficult. In fact, it is quite easy. When people find out you make your own, you unknowingly gain culinary stature. That is, until they find out how simple it is to make! A food processor is a must here, I hope if you have read this far, you have one. Place garlic cloves, garbanzo beans, lime juice, cilantro, tahini, and olive oil in food processor. Pulse until well blended. Notice the texture will not be perfectly smooth. Scrape down the sides of the food processor and put the lid back on. Now through the top add the liquid from the beans as you pulse. I don’t like mine clumpy, so I am generous with the reserved liquid. Lastly add salt and pepper to taste. The salt amplifies the other flavors, but don’t go overboard especially if you will be using a salty pita chip to eat the hummus. Here are a few things I like to add to our hummus. It really is a canvas full of possibilities. After a few experiments, it is easy to find your favorite. You really can’t go wrong. My only caution would be to not go overboard on the add-in’s. The flavor becomes muddied. Otherwise, enjoy your hummus! I feel like I am forever searching for snack and lunch box fare. I am really one of those people who needs to know the ingredients in anything I buy for my family to eat. However, I would consider myself more “label checker,” than all out “granola.” So, when I find a simplistic recipe requiring little time and can be made from what I already have in my kitchen cabinet, I get EXCITED! I found this recipe on a Facebook page called Saving with Shellie. 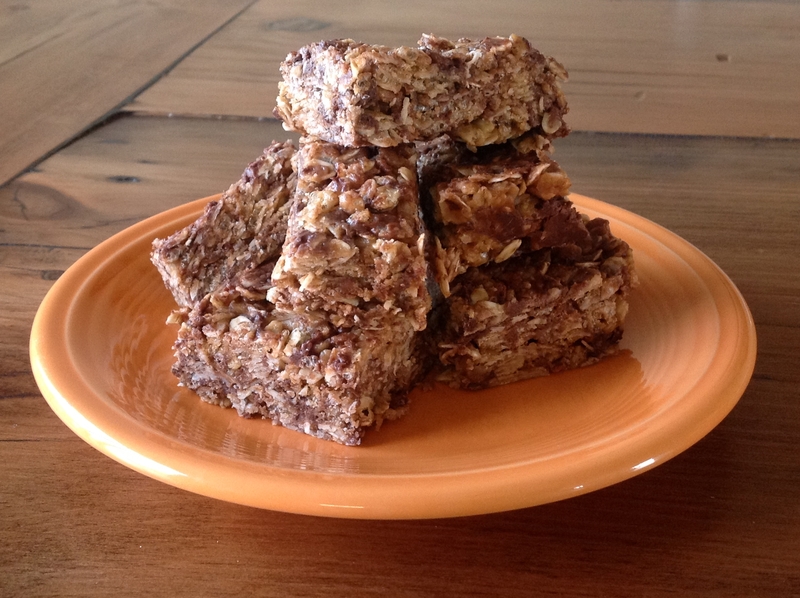 It is a no bake recipe! I literally pulled all of this out of my cabinets. As you can see, these are not new boxes and bags. Line an 8×8 pan with wax paper and set aside. 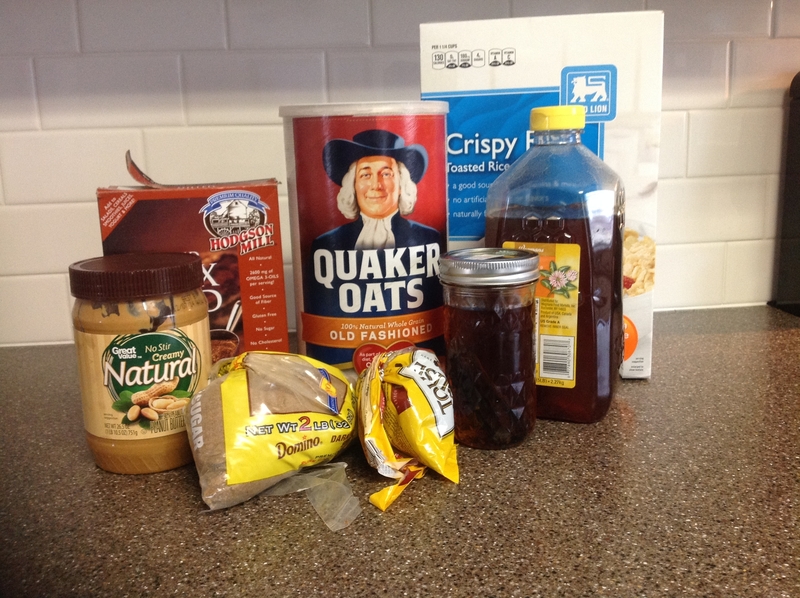 In a large bowl, mix together oats, flax seed, and cereal. In a microwave safe bowl, stir together honey, peanut butter, vanilla, and brown sugar. Microwave in 30 second intervals stirring each time until smooth and well blended. It took me 1:30. Now pour the creamy mixture over the dry ingredients and stir together. If you opt for the chocolate chips, add them next. Toss only a few times to prevent them from being totally melted. Finally, pour mixture into wax paper lined pan. Press in with additional wax paper or a rubber spatula. Leave the mixture out to cool for at least an hour before removing from pan to cut into bars. My husband and kids loved these. They didn’t come from a box in a store, and I know exactly what’s in them. The great thing about a recipe like this is the ability to alter it. It is so easy and really budget friendly. Enjoy! In a world full of stuff to buy, things to collect, and upgrades to make, the topic of generosity is tough to tackle. Andy Stanley does it masterfully. He has a gift for laying a foundation in your heart of understanding before addressing a difficult truth. In the first few chapters, Andy Stanley discusses the reality of our wealth. We are in fact already rich! I know, hard to believe, right? Well, we are and we don’t even know it. He goes on to point us in the direction of where our hope lies. As a Christian, this book was so encouraging, affirming, and challenging. By the end, it is clear that while most of us see ourselves as generous, we aren’t at all. If anything, we are generous with ourselves. For me personally, the idea that I give God my first ten percent and do whatever I want with the rest has been a way of life. Our family is generous, with random acts of kindness and such. However, I have realized that we must allow God to direct how we use the other ninety percent. 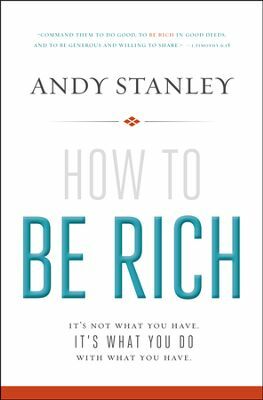 With stores packed full of “how to get rich quick” books, I find Andy Stanley contribution refreshing and full of much-needed truth! I recommend this book to Christians who are not currently giving or need to evaluate their giving. I was given a complimentary copy of this book by BookSneeze in exchange for an honest review. I have received no compensation other than the joy of reading a good book.